Although my first experience in French Polynesia was onboard a luxurious Windstar Cruises yacht, I did stay in a couple of hotels along the way, most notably on the island of Tahiti. 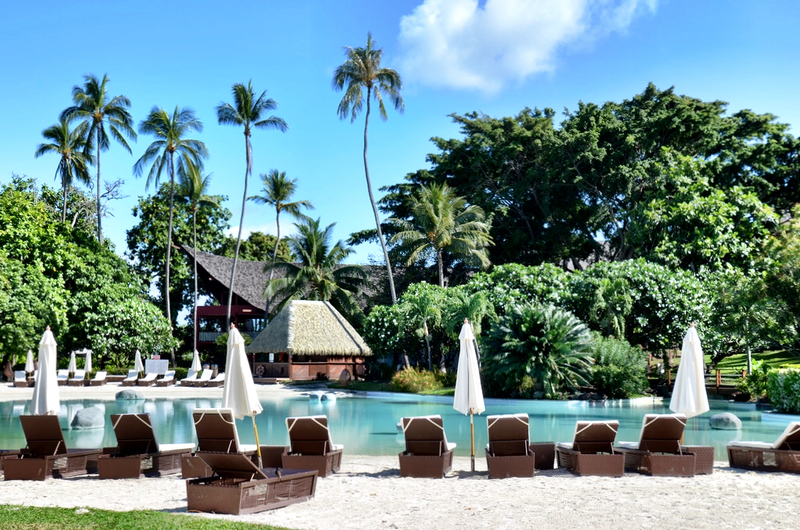 I arrived a day early in order to get used to the time difference and to see a little more of Papeete before boarding the ship, and decided to use as my home base the beautiful Le Meridien Tahiti in Papeete. Although I spent just one short day there, I thought I’d share a few of the many reasons why it’s not just a great hotel, but where every visitor to Tahiti should stay. As the capital of French Polynesia, Papeete on the island of Tahiti sees a lot of people transiting through, on their way to other more remote islands and resorts. But after having spent a couple of days on Tahiti, it’s definitely an island that I think people need to spend a little more time exploring. Le Meridien Tahiti offers one of the best locations for this exploration whether it’s your first time to the region or you’re an old pro. 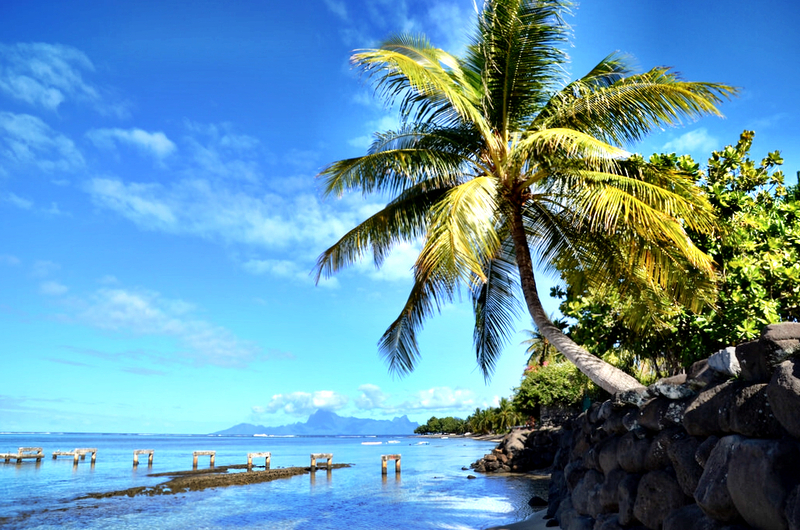 While not in Papeete proper, that’s to the benefit of the resort since it guarantees a beautiful beach and the feeling that you’re actually in Tahiti. Personally, I spent decades dreaming of visiting this part of the world and it had a lot to live up to. My first morning at Le Meridien, I spent some time alone, walking around and absorbing the fact that I was there, I was actually in Tahiti and the hotel made this realization possible in every way imaginable. I remember standing on the beach immediately in front of the property, surrounded by palm trees and the languid ocean expanding out in front of me and thinking to myself, “Yes, this is Tahiti. This is the dream and I am finally here.” It’s amazing when any resort doesn’t just live up to expectations, but also exceeds them and for me it provided the perfect first introduction to the South Pacific. When staying at any resort, food is an important aspect of the experience since most of us enjoy several meals on-site. There are few travel food experiences I enjoy more than starting off with a great breakfast, and at Le Meridien Tahiti not only is the food beyond reproach, but when combined with incredible views the total effect is nothing short of magic. The breakfast spread was my favorite of the time I spent in French Polynesia due in large part to the purely Tahitian way they manage to combine the local with international influences. Any number of fresh fruits were available, but so were still-hot croissants and pain au chocolate in a nod to the incredible French influence found throughout the region. It made starting my day there not just easy, but enjoyable and I looked forward to that perfect breakfast and view as much as anything else at the resort. 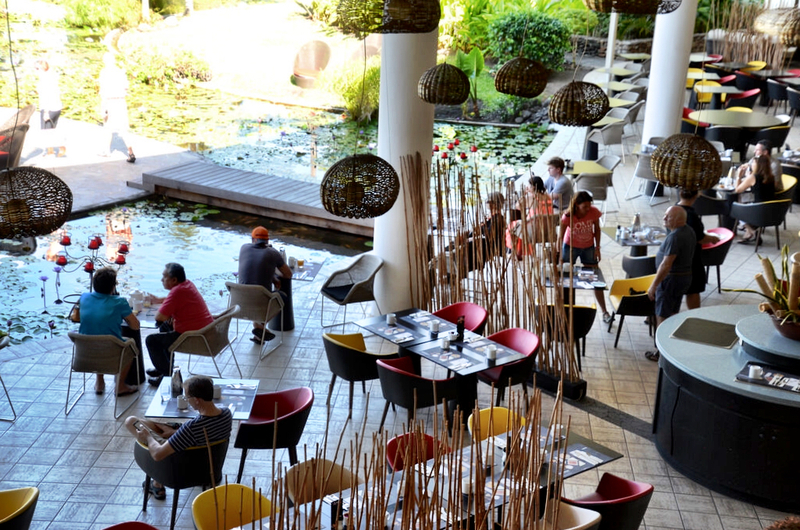 Of course all of their food options were equally impressive, making it an easy place to stay, eat and enjoy the luxurious surroundings. It’s those surroundings that I think are the real star of the Le Meridien Tahiti. Throughout the resort is any number of lush gardens, ponds and meticulously manicured grounds, creating an enclave of peace and serenity. It’s an exclusive and private getaway, made all the more special by the amazing services offered. Whether it’s just sitting by the pool, going for a dip in the ocean, playing lawn games or napping in a hammock, there are countless ways to enjoy the resort for what it is – a resort. Sure, you’re already in paradise as soon as you land in Tahiti, but Le Meridien amplifies this feeling and makes it even more luxurious. What’s important to me in any hotel or resort is how they embrace the local community, how they try to be unique and not just like any other property around the world. Le Meridien Tahiti accomplishes this in a number of ways, but most notably through its artists’ enclave. Located on the top floor of the hotel is a gallery and creative space called L’Atelier. 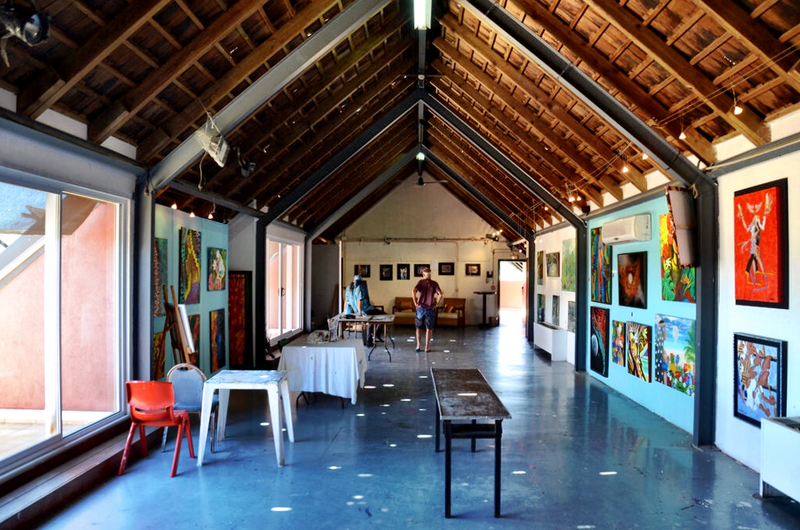 The site features the work from contemporary artists from across the islands, many times with the artists found working in the gallery itself. It provides guests with a unique interactive experience not only to admire the artwork, but to meet and chat with the creative minds behind them. It’s fun, it’s unexpected and adds a different layer of interest to the resort, one that seeks to introduce guests to as much of the local culture as possible. I arrived to the Le Meridien around 10pm or so after a long travel day from Washington, DC. I was tired, I’m certain I looked horrible and all I wanted in life was a shower and a comfy bed. I’ve now stayed with Le Meridien in several places around the world from French Polynesia to Europe and even North Africa and one thing I love about the brand is how consistently comfortable their rooms are, and Tahiti was no exception. Combining a homey yet refined design aesthetic, my room at Le Meridien Tahiti quickly became my own personal oasis, a place to decompress and relax. Even in Tahiti one needs a place like that and I’m so thankful for the high standards at the resort that enabled me to make the most of my time before boarding my Windstar cruise around the islands. Anyone visiting the islands of French Polynesia will necessarily transit through Papeete. The trick though is to extend one’s time on the island of Tahiti, getting to know what makes it special and so much more than a massive transportation station. 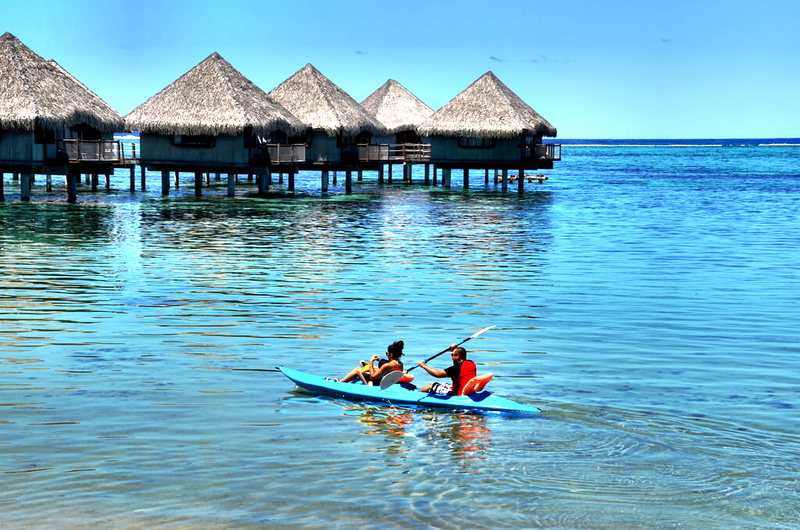 Le Meridien Tahiti is the perfect place from which to launch these initial explorations not only of the beauty for which the island is so very well known, but its surprising and endlessly fascinating culture as well. Oh my, this is just breathtaking Matt. This place will surely be on my travel goals this year. Cheers!